G&G Italia Garden Furniture G&G Italia Muebles de jardin. 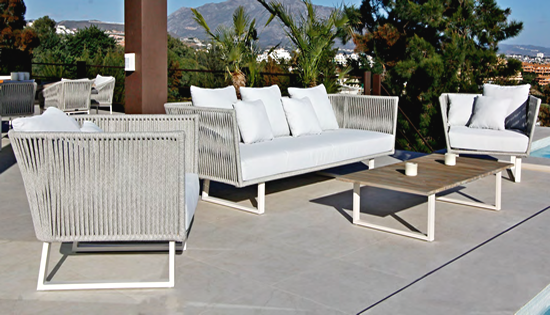 G&G Italia muebles de jardin design and produce a broad selection of outdoor furniture specialising in not only wicker weaving but also ropes, straps using teak wood and aluminium frames. 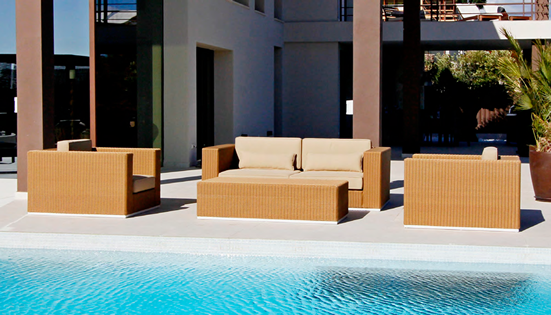 G&G Italia's products are considered to be very high quality with beautifully designed collections including garden dining sets, sofa sets, luxury day beds and sun loungers. All products come with a 3 year warranty and a choice of cushion colours as well as varieties of weather proof fabrics. Contact Us For Best Deals. 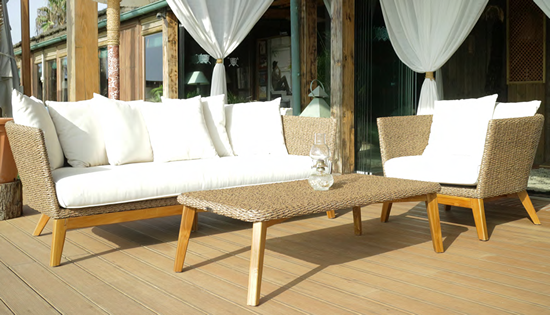 Alfrescofurniturespain.com are an online reseller of G&G Italia Garden Furniture throughout Spain. Our prices wont be beaten on G&G Italia products. Contact us for the best online deals. 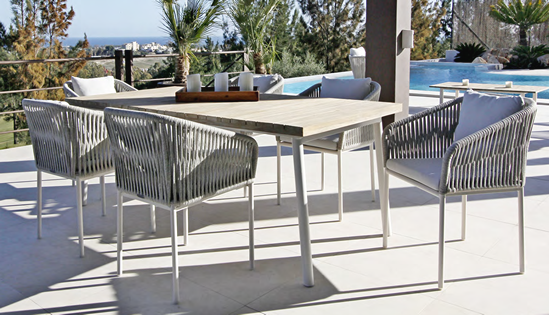 We supply Garden furniture to properties in the Murcia, Costa Blanca and Costa Blanca regions of Spain. All our Garden Furniture prices include delivery and IVA. .